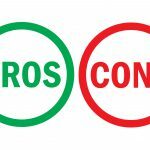 Pros and cons assessment analysis red left green right word text on circle buttons in empty white background. Simple concept for advantages disadvantages in business planning. Vector illustration. Diversification of products and services can create a more robust and sustainable business model for any type of large or small business. Shifting to a business model with multiple income streams, just like any other business growth strategy, has its advantages and disadvantages. 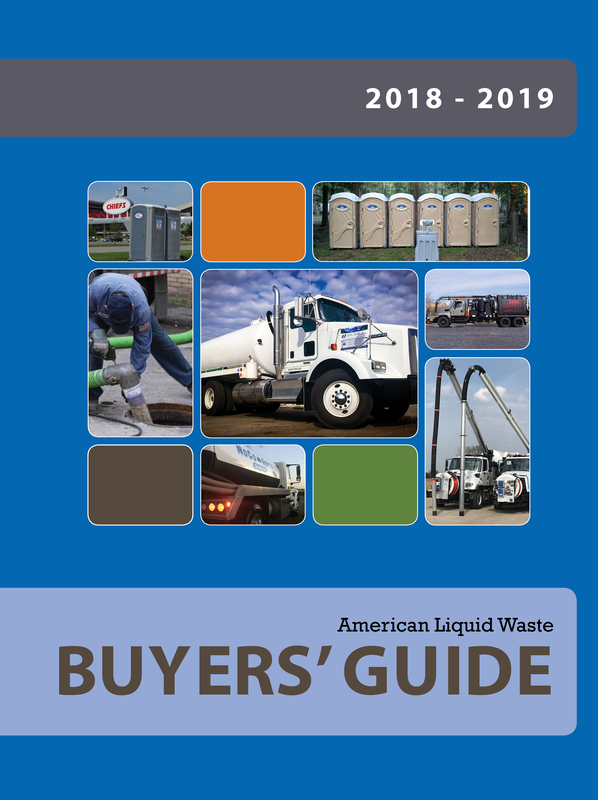 All of those should be carefully considered before reallocating or investing in new inventory or resources for delivery of new products or services as part of your portable restroom business. 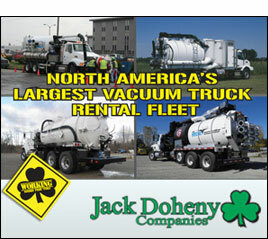 Many portable restroom companies add one or more additional services for their clients. 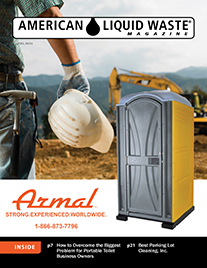 The range of services added by portable restroom companies includes upgraded styles of toilet units, shower trailers, storage containers, waste bins and other rental items to their inventories. There are pros and cons of switching from portable restroom rentals only, to a more diversified business model with additional revenue streams. • Horizontal Diversification — This is a move into related products or services that appeal to the market you currently serve, such as adding executive toilet trailers to an inventory of models suitable for construction sites. General Pro: This shift can reach new markets and grow the business. General Con: Challenges in launching new products and services can consume too much of total resources. Extensive research is needed, to confirm that the product is of compelling value to the target market. • Vertical Integration — A business obtains a piece of the value chain, perhaps by becoming the manufacturer or distributor of some products it sells/rents. For example, your company may begin to customize upgraded toilet unit designs to other vendors, and rent the units as well. General Pro: Risks are reduced, because third party suppliers are supplanted by self-provisioning. General Con: Management must be cautious against creating a system that is too inflexible to keep pace with today’s dynamic and ever-changing market conditions. • Geographical Diversification — Moving into new geographical areas presents new growth opportunities, beyond already saturated local markets. For instance, you may begin servicing events in neighboring counties or states. General Pro: For well-prepared portable toilet business, armed with sufficient research, new markets can offer untapped profit potential. General Con: Finances must be sufficient to support expansion into a new market area, without depleting capital required to maintain current operations. Whichever form of diversification you undertake, expanding your business model to include a broader range of products and/or services can increase revenues and widen profit margins, if managed well. • Stabilizes Income — Adding revenue streams can stabilize income during seasonal highs and lows in demand for some services. When one channel hits a seasonal decline in sales or impacted by some market phase, supplementary sources of revenue can help offset losses. Steadier income and ability to maintain timely payments to vendors, keeps credit intact and enables borrowing even as necessary for regular expenses like labor, rent, utilities, repairs, etc..
• Acquired Synergies — Allow synergistic use of related resources to meet market demands for additional services portable toilet businesses may be inherently well-equipped and staffed to provide. Investing in new business lines that are related to your primary product and service offerings creates synergies that generate new service and marketing strength as well as access to new target markets. • Income Hedge — As well as providing a revenue supplement to offset temporary or regular seasonal income fluctuations, strategically adding a new source of income can help maintain profitability of a business, in the event that one or multiple other revenue streams entirely dries up, due to changing economic or market conditions, updated technologies, etc..
• Enable Growth — Expansion into new markets, or other approaches to growth of a business can drain operating resources. Sustaining the business through additional profit centers can enable the company to push forward with aggressive new growth strategies to take it to the next level. There are compelling advantages of diversification along any one of a number of proven effective new revenue streams in the portable restroom industry. However, there are certain burdens and issues that typically arise with transitioning even to one of the common business diversification models in the industry, such as adding storage container rentals, etc..
• Financial Risks — Adding the security of additional sources of income can help grow and/or sustain a business, when channel choices and cost monitoring are managed properly. But, it can damage or destroy the business, sometimes surprisingly quickly, if new channels are allowed to become a disproportionate drag on resources. • Systemic Strain — Monitoring performance of multiple revenue streams can be confusing and time-consuming, without efficient reporting systems. A business with several income channels may require outside bookkeeping help, to ensure the level of accuracy necessary to validate profitability, or lack of it from an added income channel. • Service Quality Challenges — Balancing the work to establish new revenue channels can be very time-consuming and labor intensive for everyone on the team from the top down, leaving core services with less than the consistently full attention they require from the team as the business’s central pillars of financial support. • Brand Identity Issues — Multiple product and service offerings can undermine branding efforts, if the company’s core branding message becomes confused by promotion of new offers. Customers can become uncertain about what your business primarily is. Choosing the right additional product or service to offer is key to ensuring the long-term health of your business. Putting effective performance tracking systems in place will help ensure that the new line performs as expected and contributes well to the bottom line. • Choose New Revenue Streams That Fit Well — Small businesses need to scrutinize new channel additions from every angle, for any less than ideally fitting processes, maintenance requirements, pricing or sales issues, etc. Choose opportunities that are synergistic with existing income streams, to maximize use of current resources, vs. limiting the productivity of assets by adding unrelated services. • Track Financial Performance of Each Revenue Stream — Run individual reports for each revenue channel. Focus on metrics such as Cost of Goods Sold for each. Each stream should also share general overhead costs, to gauge its real operating expense. Your CPA or bookkeeper can help you determine appropriate cost percentages. Set limits on the amount of financial drag a channel can be permitted to be on the company. Before you embark on a new revenue stream, do your due diligence on the product or service you want to offer, to ensure its ideal fit as a change to your existing business model. Thorough business and competitive market research are critical. Proper planning, communications, targeted PR and product/process testing are also essential. As your paramount concern, reinforce your core services and product offerings, to ensure that reliability and quality will not be compromised during the shift to the new business model. If so much of your company’s resources of time and energy are being redirected into the new revenue stream that you find that the integrity of the core services around which you developed your business and reputation is weakened, prompt evaluation and intervention is necessary.